5th sentence, 74th page: She sighed. 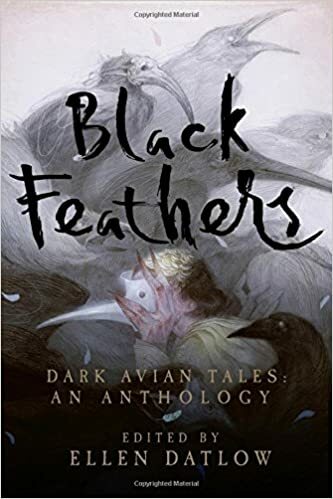 A man with a horrible past and a weird obsession with corvids is trying to communicate with a crow… but when he finally learns his secret, it is far darker than he ever imagined. Well. This didn’t end like I expected it to. At all. But it did end in a great way. Well, not for Wil, but for me and my sick, happy little brain… it ended brilliantly. I always feel sympathy for those who are not quite socially… adequate. There is something kind of vulnerable about them. And this was highlighted throughout this story. Wil isn’t quite capable of working with others, and he just wants to be reclusive and left to his own research. But between a creepy corvid who keeps leading him about, and his own social inadequacies, it just isn’t meant to be. The actual villain in this story was not remotely who I was expecting. I thought that it would be a hidden secret from Wil’s past, but it was someone completely… surprising. Which makes sense, because people like Ted Bundy were also completely unpredictable. Ted Bundy was surprising indeed! I like the term “socially adequate”. Good phrasing!